Domains of art and visuality are very salient to understanding the history and current state of Pakistan. These include the analysis of premodern, modern, and contemporary art and architecture, and study of popular forms and media such as cinema. However, the study of all these fields remains underdeveloped in Pakistani academia. Even though the practice of contemporary art is blossoming in Pakistan, yet its systematic and historical study remains unevenly taught and researched in academic institutions. 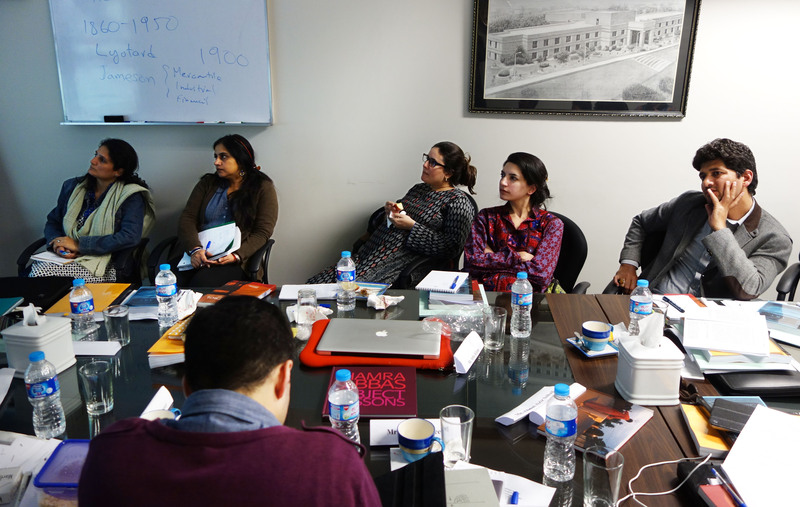 An intensive 5-day workshop on art history and visual studies was conducted in Lahore during Jan 19-23, 2015, and is the first of three planned one-week workshops addressing art history, visual and media studies, and architectural history. 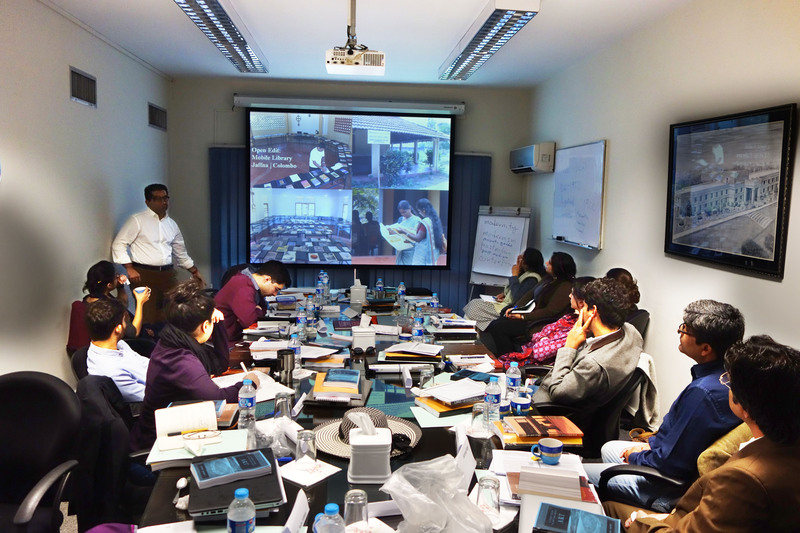 Led by Iftikhar Dadi, associate professor at Cornell University in the Department of History of Art, the workshop included twelve participants from various institutions of higher education from across Pakistan. Besides Dadi, the workshop was also led by two guest instructors, Zahid Chaudhary, associate professor at Princeton University, and Hammad Nasar, director of research at Asia Art Archive in Hong Kong. The remaining two one-week workshops will be held at a later date and will include the same participants. The workshop focus was on developing capacity of junior and midcareer faculty already interested in these fields, to enable them to discuss and develop questions of method, archives, and frameworks, which could then inform both their curriculum and teaching at the undergraduate and graduate levels, and also provide them with frameworks useful in developing their research projects. The workshop ran for five full days, and included a methods seminar on modern and contemporary art in the mornings, followed by a writing workshop, and finally, an afternoon seminar on archival methods and curriculum development. Special thanks to guest faculty Hammad Nasar for discussing archival research, Zahid Chaudhary for leading the writing workshop and a seminar on photography theory, and to AIPS for making it happen.